This filter measures 4. 5" overall length. It is coned shaped. The bottom of the filter measures approx. 2. 75" in diameter and has a hole that is 1. 75" in diameter. 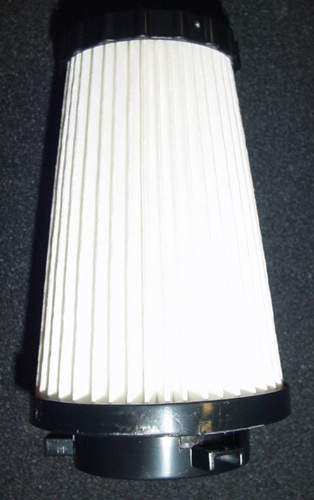 The top of the filter is 2. 9" in diameter.